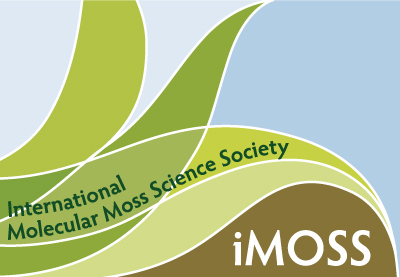 The iMOSS recognizes persons who have fostered moss (in the wide sense) research. Such persons will be identified and nominated by the iMOSS members and board. The board will select the annual recipient of the Golden Spore Award. 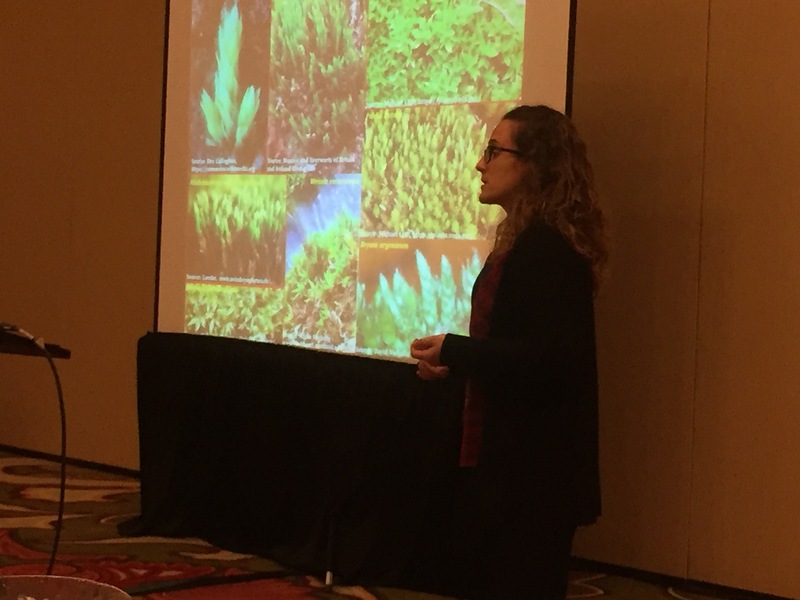 To be eligible to receive the award, the researcher has to have a track record of at least a decade of influential research on mosses. The award will be presented at the annual iMOSS meeting. Other awards, such as poster or talk awards might also be sponsored by iMOSS. Ralph Quatrano (left) and David Cove (right). The Golden Spore Award for 2018 was presented to Ralph Quatrano for his pioneering works on cell polarity, drought tolerance, and the genome of the moss Physcomitrella. 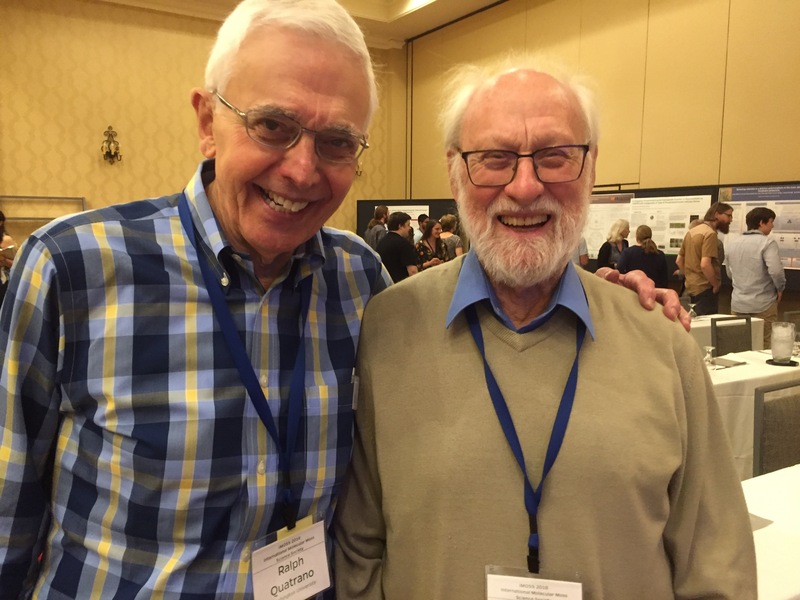 The Golden Spore Award for 2016 was presented to David Cove "The Godfather of Moss" for his pioneering works on Physcomitrella. Awards were received at the 1st Black Forest Workshop on Flagellated plants (September 2018) by (f.l.t.r.) Lenka Caisova, Rabea Meyberg, Jan Rathje and Elena Lesch (best posters) and Andrea Busch (best contributed talk). 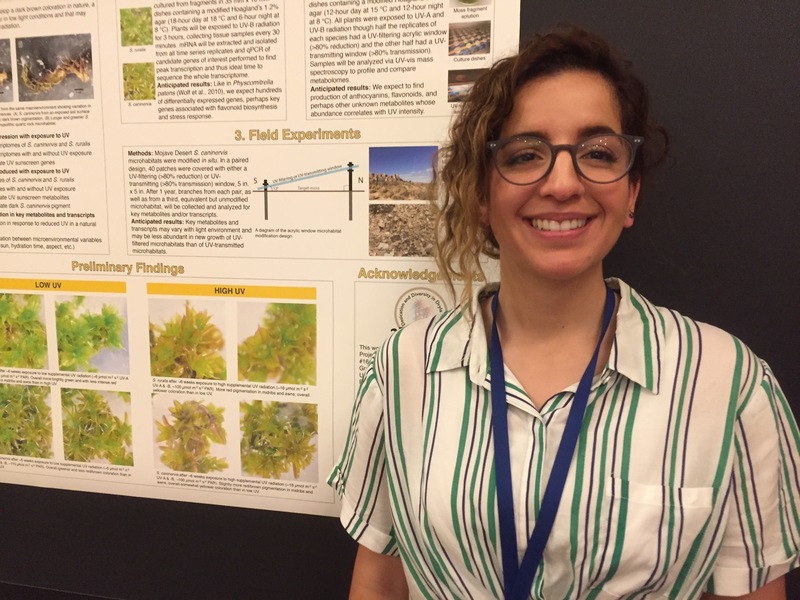 Awards were received at the 2018 iMOSS meeting by Maria Teresa Boquete Seoane (best postdoc talk) and Jenna T Baughman (best poster). Maria Teresa Boquete Seoane (best postdoc talk). Jenna T Baughman (best poster). Best talk awards were received at the 2017 iMOSS meeting by Laura Moody (best postdoc talk) and Kumudu Rathnayake (best PhD talk). The 2017 meeting took place June 22nd - 24th in conjunction with the ASPB meeting on Hawaii. Aruna Kilaru, Kumudu Rathnayake, Laura Moody, Stefan Rensing (from left to right).